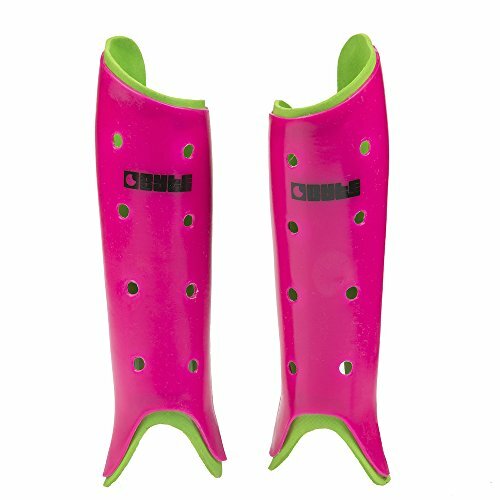 The Probot shin guards offer the most protection out of all of our shin guards. It has a hard thick plastic shell with a removable, washable liner. Popular among all levels of play. 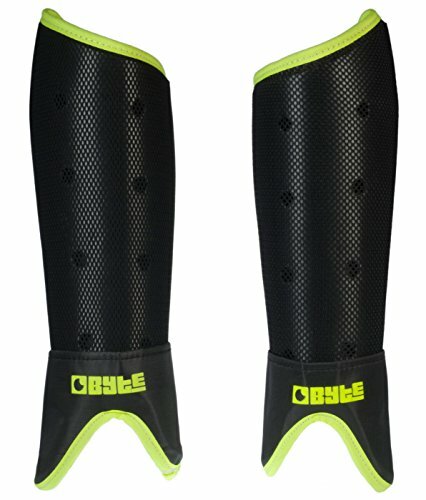 Byte's junior shinguard offers superior protection for young hockey players. 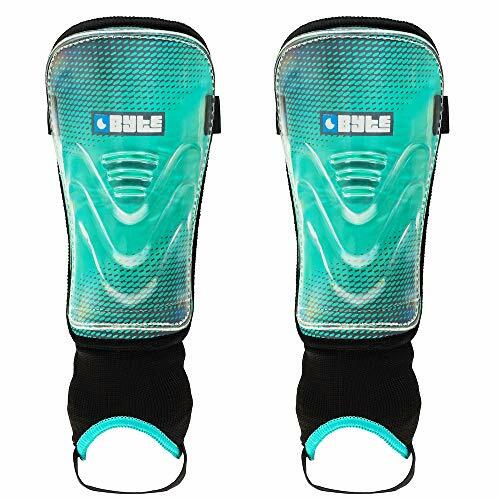 This shinguard includes an ankle protection system to helping to prevent injury. It is available in small, medium and large childrens sizes. 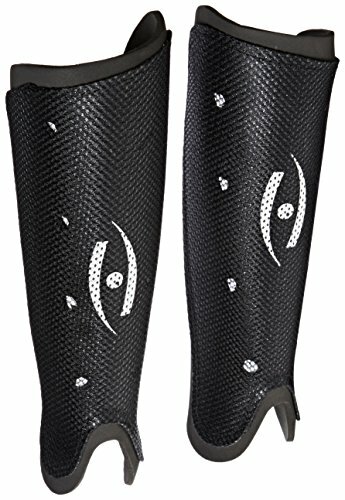 Anatomically shaped leg protection. 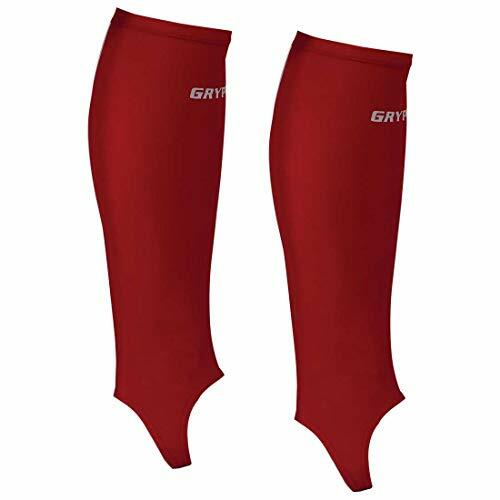 Hard outer shell gives excellent shin & ankle protection. Comfortable soft feel mesh covering. 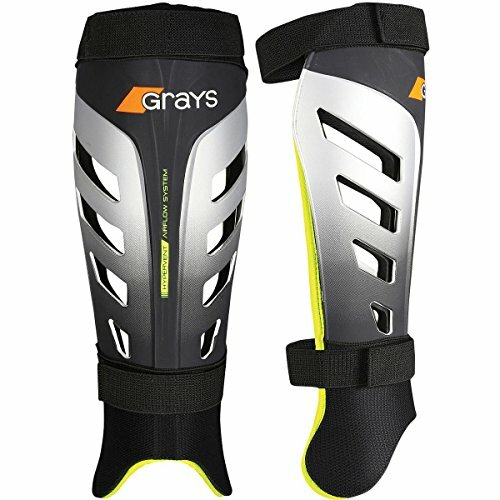 Being hockey shin pads they are longer in the leg which is a distinct advantage when you get hit with a ball or stick. They work well at this purpose being a fairly hard pad and are generally comfortable to run about in. Featuring new Hyper vent Airflow System.. Lightweight shell with raised spine to reduce shin injuries. Removable liner. Removable liner. Small- 9.5, Medium- 11, Large- 11.75. 1 year warranty. Made in Pakistan. Model Number: 233. 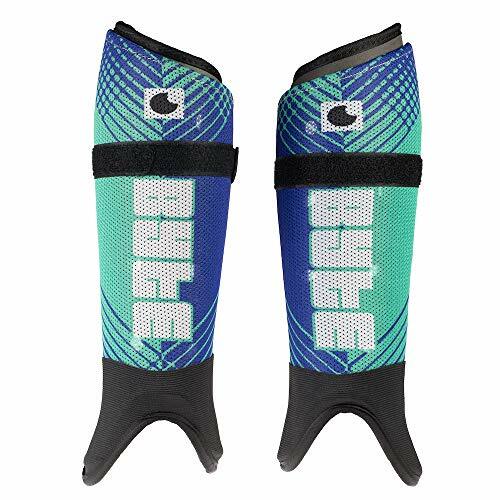 The Byte SX Shinguards were constructed with a hard outer shell and a soft inner lining that provides comfortable protection, and they utilized an ergonomic right-left design that offers increased protection, especially around the ankles. 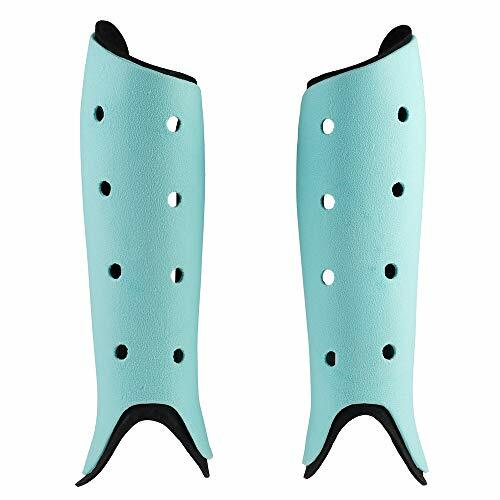 These shin guards feature strategically placed venting holes that allow air flow inside to keep you cool, and they used a mesh overlay for added breathability. Plus, they have brightly colored trim and a logo for a fun look! Our Franklin Sports SX Comp SG 175 Hockey Shin Guards feature a full-flex shin/knee cap design. They are high-impact plastic shin and knee caps. They have 3 adjustable self-stick straps and air-flow vented construction. 13", small/medium senior fit. NHL Licensed product. 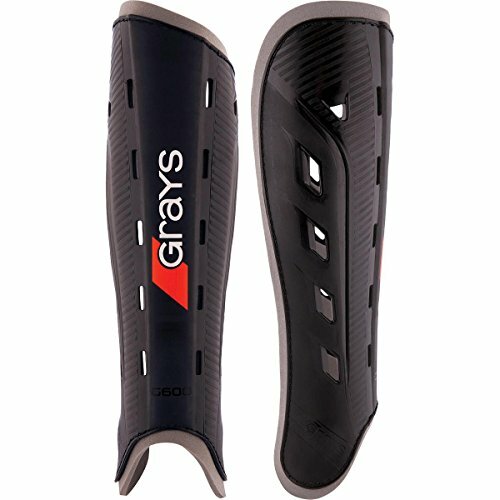 The Grays G600 Strapless shinguards feature an anatomically designed polymer hard outer shell with a raised central spine that reduces shin injuries. It is also lined with a soft foam for increased comfort and shock absorption. 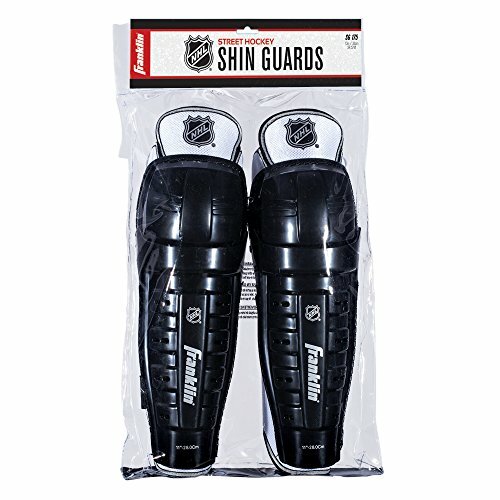 Small: 10", Medium: 10.5", Large: 11"
The Protect Shin Guard offers full protection at the lightest weight on the market. A hard plastic shell is lined with foam padding for added comfort. 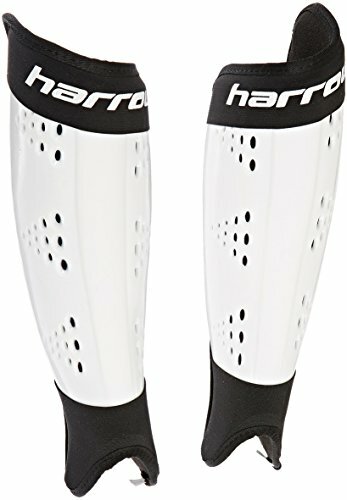 This shinguard offers superior protection on the hockey field. Anatomically designed outer shell. Foam lining for added comfort. 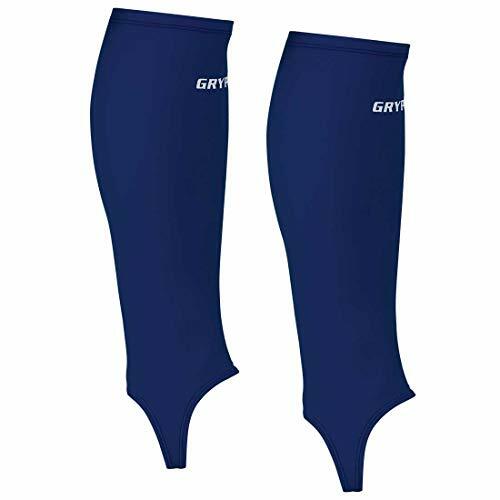 Byte's ZX sublimated adults shinguard offers superior protection on the hockey field. 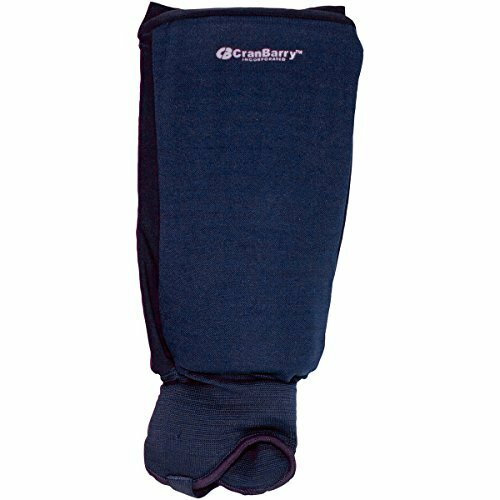 These shinguard's have a removable lining which can be removed for washing. 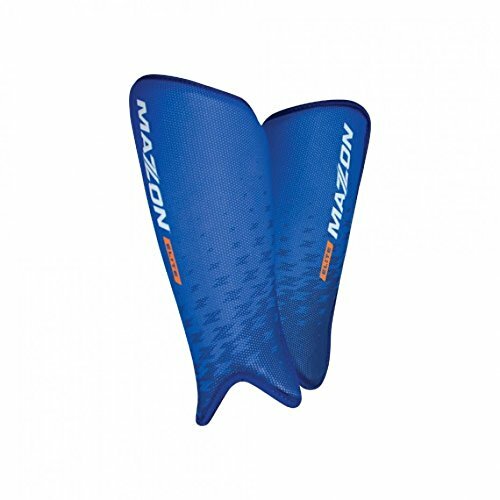 An adjustable velcro strap helps keep the shinguard in place. NEW and improved design and comfort !